Hey everyone! I have definitely saved the best for last and in this post we’re looking at the M&S Beauty Advent Calendar. This is the final in my round up for days 6-10, you can catch the other ones on my blog. For days 1-5 of the M&S Calendar, click here. This is another full sized product provided from the M&S calendar. 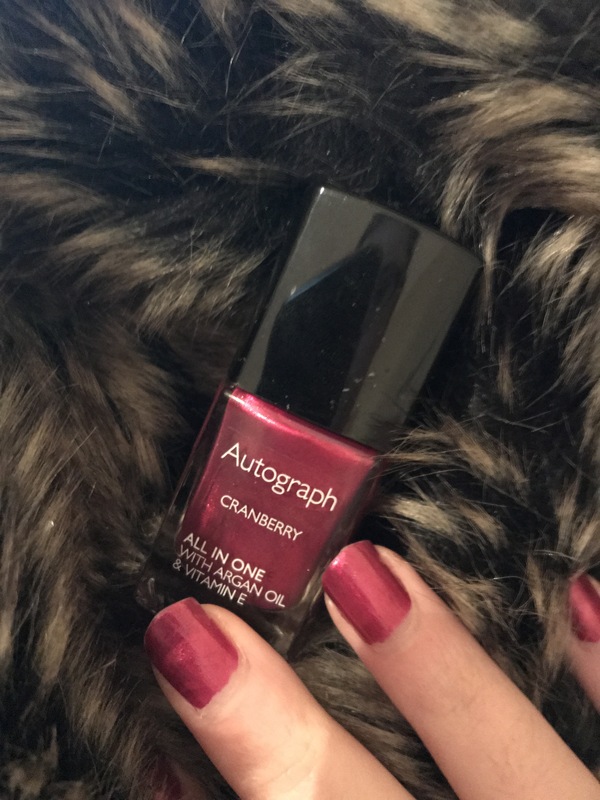 This is a gorgeous colour, especially for Christmas/Winter time. It says it has cranberry, it does have quite a faint smell to it. 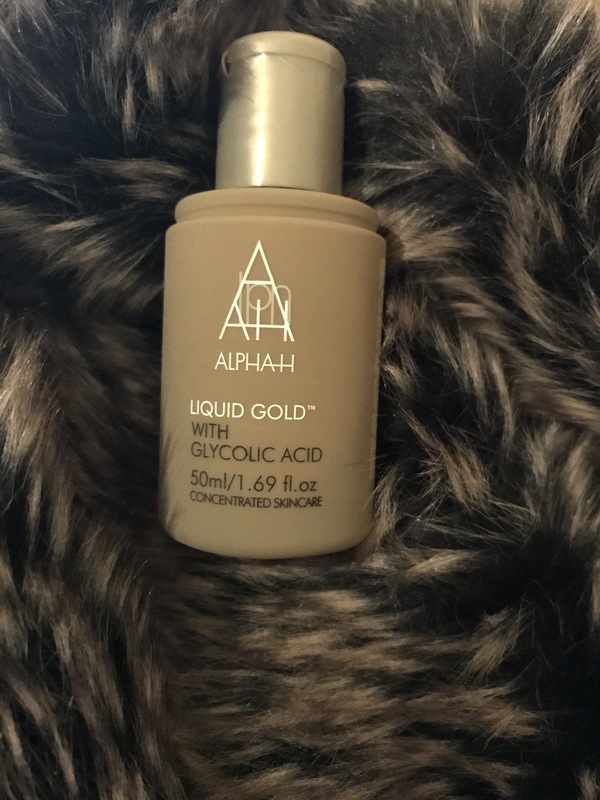 In terms of the one coat, I needed two to get an even coverage. After one coat, I noticed some patches that were lighter than others. It does need a top coat as well or it’ll chip. But all in all, it’s pigmented, not too offensive smelling and a gorgeous polish. I love everything about this nail polish. I’ve been wearing it for about a solid week. The colour is gorgeous. I didn’t actually realise that it has a shimmer/glitter effect to it which just adds to the overall colour. It doesn’t chip too easily, and for the price I think it’s incredible. Will definitely look into other colours from the range. 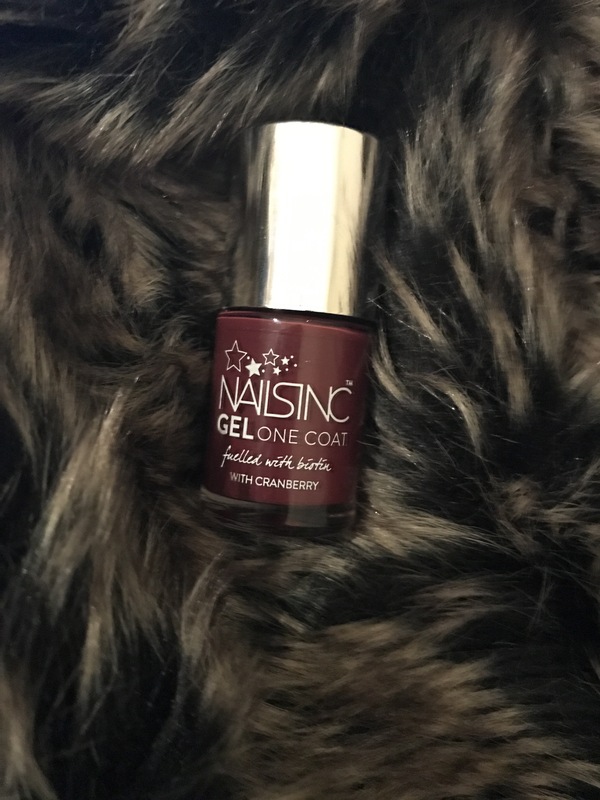 The smell isn’t too offensive either, which is quite important for me with nail polish. This retails full size (100ml) for £33.50, so this 50ml ‘sample’ size is worth £16.75. This product claims to be a one step everything; toner, cleanser, the works. You apply it to the face with a cotton bud, wait for it to dry and then follow it up with moisturiser. You can leave it overnight without moisturiser for a more intensive application. Unfortunately the lid on my sample was broken, I couldn’t lift it. Therefore, I had to screw it off and it was harder to dispense the right amount of product. I can’t fault the product for that though, as it was a one off. It did have quite an offensive chemical smell which made me a bit nervous, but I gave it a go anyway. I do feel like it made a difference to my face, and I’m definitely going to keep going with it every other night like it recommends. I’ll give an updated review in a few weeks. This product retails at £20 for 50ml, so the size given is worth £10. I always go on about how wearing SPF every day is vital, regardless of the weather. It’s now been proven to have benefits for your skin. My foundation does have SPF 20, but I still like to have that extra protection. I also don’t wear makeup every day, so it’s perfect for those days. 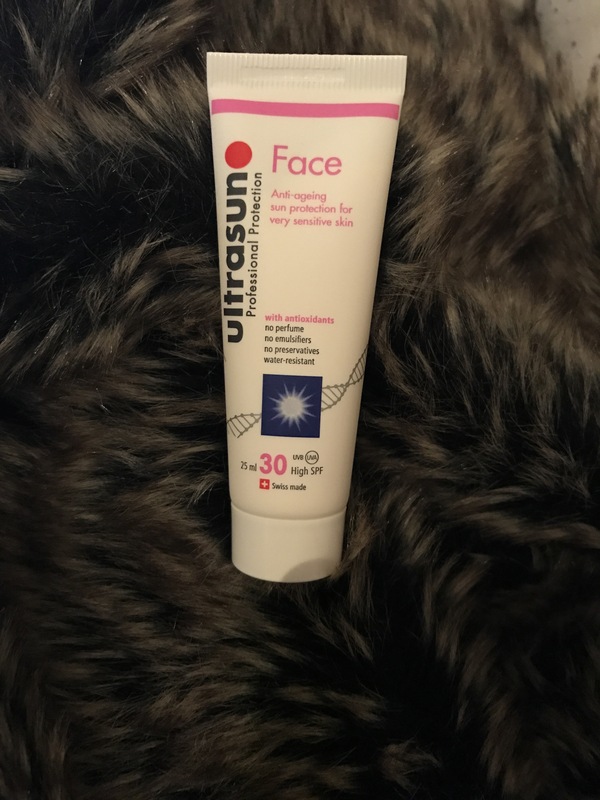 I discovered that this company also does a lot more in terms of higher SPF and a huge range of sun protection products. They are on the more expensive side, but I think it’s worth it. It didn’t have a smell at all, didn’t irritate my skin and didn’t add any extra oils to my skin, which is already extremely oily. 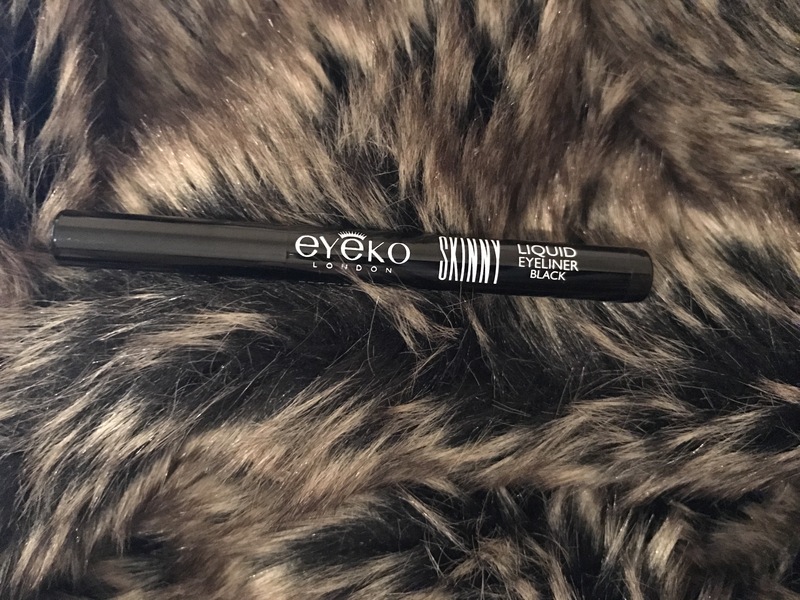 This is a really good eyeliner pen. It doesn’t trump my current favourite, but it’s pretty close. The nib is incredibly thin and easy to work with. It’s also flexible enough to follow the shape of your eye. A lot of the options available are quite hard, when you line your eye it jumps over a skips pieces out. Gorgeous pigmented liner, definitely a product I’ll keep using. And that’s us for all our 5 day round ups for days 6-10!